Bard Medical 35380 Female Urine Specimen Catheter Kit, 8Fr is a urine specimen collection kit specifically made for females. 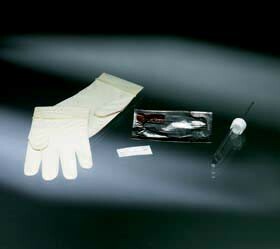 A closed system will reduce the risk of specimen contamination. This will lead to less risk of false readings. This female catheter kit includes an 8 French rigid PVC catheter, gloves, label and lubricant. To avoid allergic reactions, the kit does not contain latex.